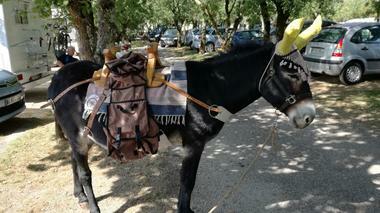 Castor Mouton, Panico, Nuage and their friends will be happy to accompany you on walks for one day or for several days. 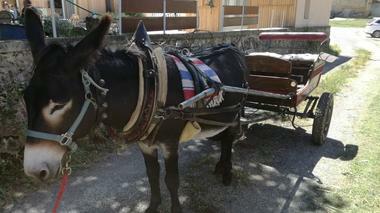 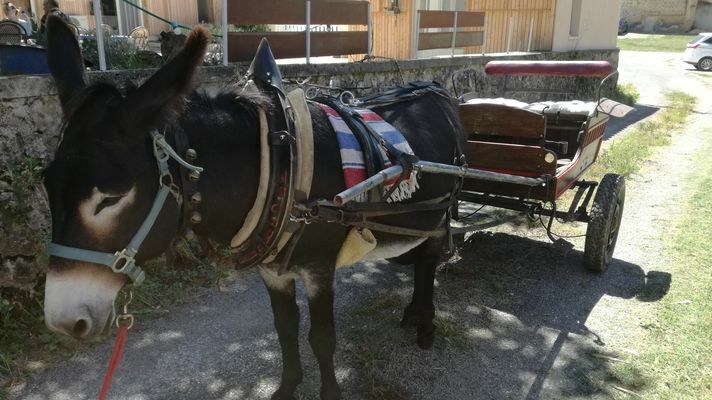 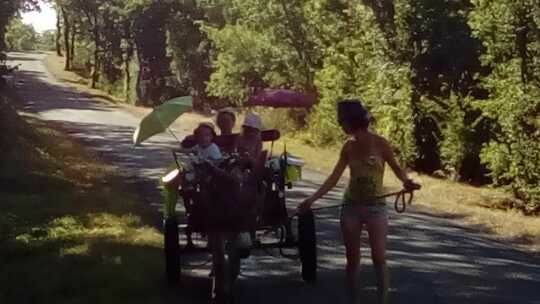 Set off alone or with a guide with your pack or harness donkey along the tracks and back roads of the Lot Valley and the Cahors vineyards. 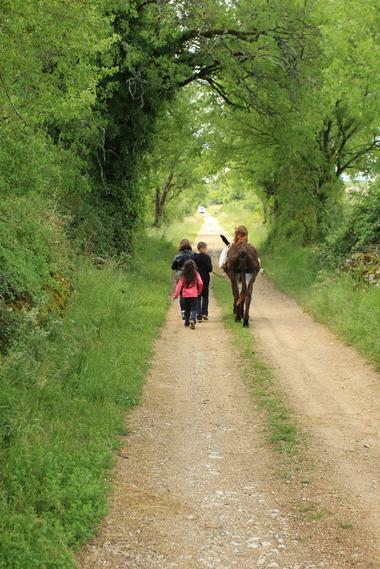 Our donkeys are also available to accompany you on the Santiago de Compostela Pilgrim Ways between Conques, Rocamadour and Moissac. 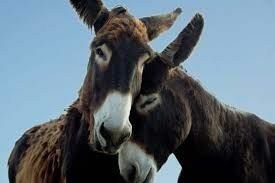 As you go along, the donkey will prove to be your ideal travelling companion, whose kind nature and gentle ways make him very lovable.